Ingeny provides advanced home automation and entertainment systems that make everyday life easier by combining familiar technology systems that work seamlessly together for added simplicity, convenience and enjoyment. Working closely with our customers, Ingeny creates joined up solutions from design and consultation through to installation and ongoing support, making sure that home and building controls are part of a fully integrated system. 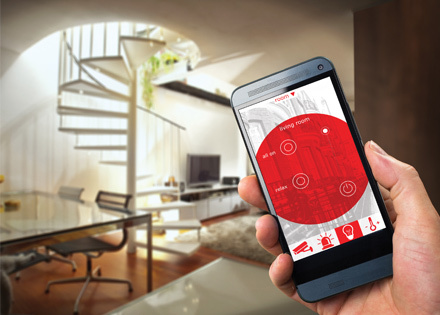 Our integrated and smart building solutions give complete control at the tap of a touchscreen, smartphone or tablet from the comfort of the home or remotely wherever you are. As a result, it is now possible to monitor and manage virtually any system in the home or building from a single device including entertainment, communications, environment and security requirements. Ingeny is part of security systems and building technology integrator Interphone, a company with over 50 years of experience in designing, installing and maintaining electronic control technology in commercial residential properties.